Minnay Educational Services is the the leading resource for pre- and post- graduate students preparing for the National Council Licensure Exam, for Register Nurses (RN), Practical Nurses (LPN) and Vocational Nurses (VN). 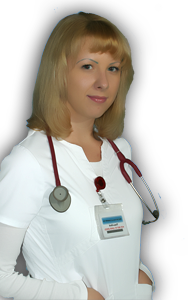 We offer electronic interactive exam practice for NCLEX-RN, NCLEX-PN and NCLEX-VN. Our comprehensive study material and online practice exams are easy to use and will leave you feeling confident and prepared to take the medical entrance exam. We have more than 5000 Questions and Answers that can with feedback and rationale for each question. Our NCLEX-style tests are timed to give you adequate practice to evaluate yourself at areas of strengths and weaknesses. Our courses and materials are superior to others because they are developed by educators and evaluators who are experts in NCLEX-PN/RN preparation. All our materials are continually reviewed to ensure that they are up-to-date and on target with the most recent changes to the NCLEX exams.